Bring your BOAT or RV and reduce those storage charges! This home has a huge fenced yard with PLENTY of space to park behind the fence. 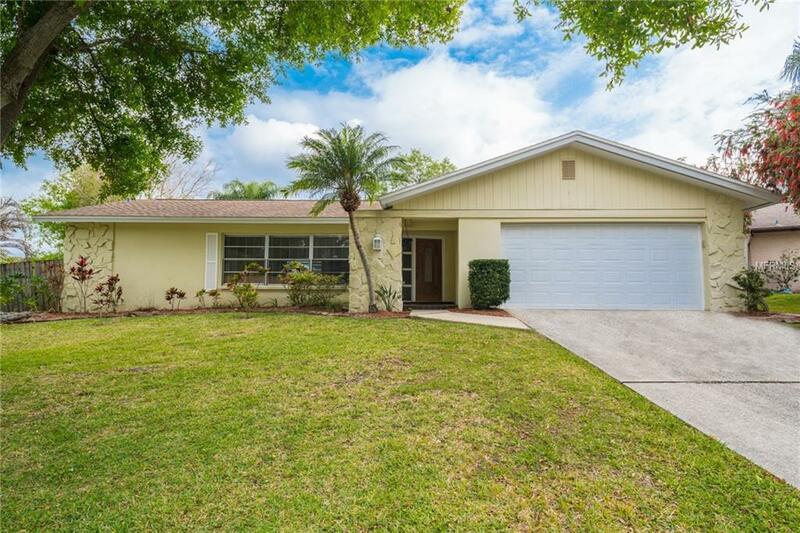 This four Bedroom two bath POOL home is located in the desirable Safety Harbor community of North Bay Hills has been lovingly maintained and nicely updated. Featuring a sparkling caged pool with plenty of outdoor living space for entertaining, updated kitchen with granite,light cabinetry and tons of counter space. Baths were also updated beautifully with granite and glass-top vanities. Neutral paint, Bamboo and tile and flooring throughout main living areas with berber in the bedrooms, and a spacious open floorplan. Excellent school district, mature landscaping and highly sought-after location. Close to shopping, entertainment, BEACHES, hospitals and many local and national employers. Additional Lease Restrictions Lease Restrictions Per Pinellas County To Be Verified By Buyer Or Buyers Agent. Pet Restrictions Per City/County Restrictions. To Be Verified By Buyer Or Buyer's Agent.